Well this title certainly made me chuckle. 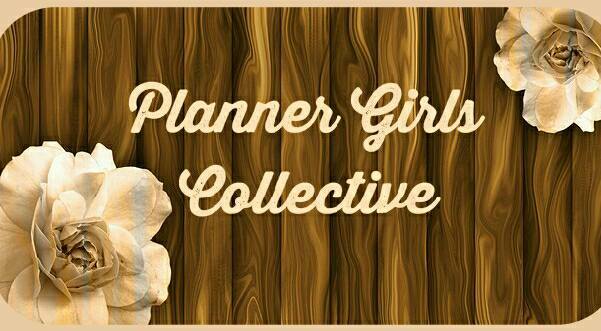 The girls this week are looking at their monthly spreads. However, nothing could be further from reality. 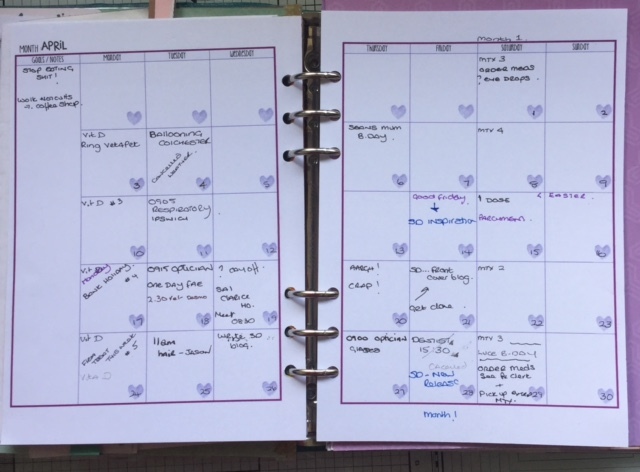 Whilst I like to decorate, my planner is a totally functional item and it is only the weekly spreads, dividers and dashboards that get the decorative treatment. Everything else is scribbled on, crossed out, rewritten on. I don`t even use frixion pens (shock! horror! ), or post it pads as much as I should. look quickly and then look away. It is on a printable bought at the beginning of the year from Etsy. All my monthlies are printed up and in place as this is where I diarise my activities. It doesn`t alway work as I have forgotten to add my husbands dental appointment lol and consequently have to grovel today when I go in for my appointment. I have seen some spectacular themed planners around such as the Harry Potter one from Leo Robertson. I would seriously suggest you look at her blog post here. This is an incredibly detailed beautiful project. A picture would not give you any idea of the depth and scope so please go and have a look. I have always wanted to have a planner but never made it and i also love bullet journals.these types of journals always keep you organized.